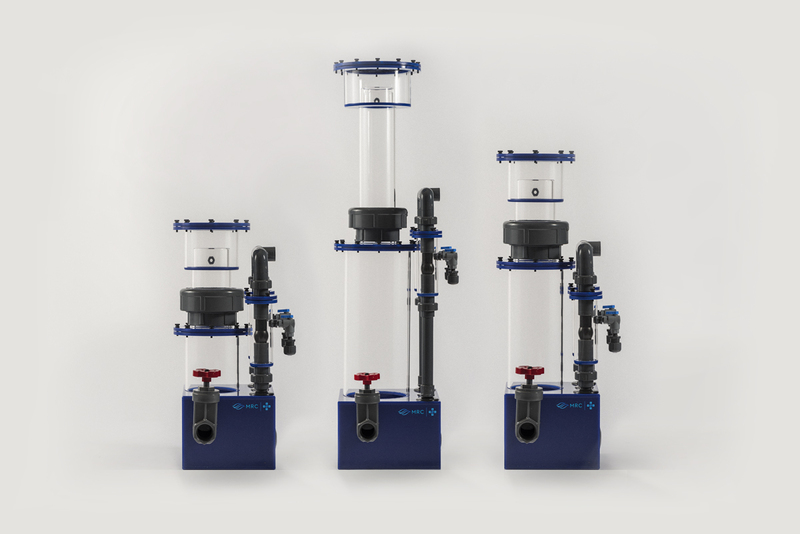 MRC®’s Beckett-injection protein skimmers have been successfully running aquariums for two decades. Easy installation with set and forget ease of mind with an extra layer of control over the signature series. 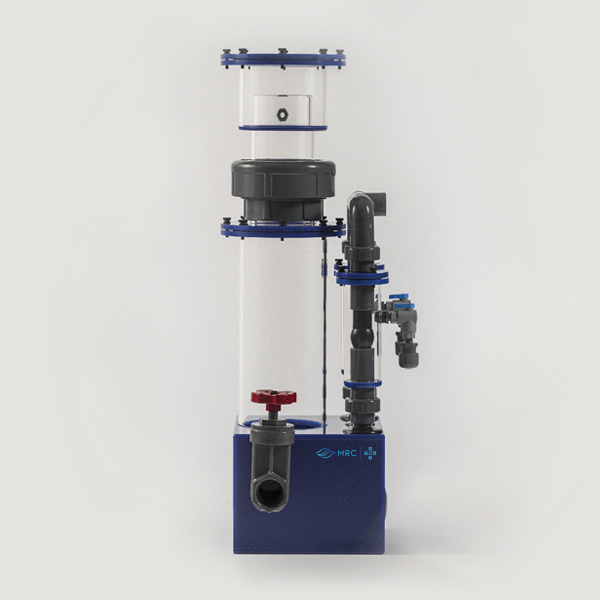 From 300 gallons to 1,800 gallons, the +Series Recirculating skimmers are ready for just about any system you could possibly throw at them. All +Series Recirculating skimmers are precision fabricated to the highest tolerances. We like things to be right and right the first time. MRC®’s injector assembly uses a pressure differential to generate a massive quantity of tiny bubbles, maximizing surface area. Being a recirculating skimmer, you now have more control and even greater efficiency. Pair with an ultra efficient DC powered pump for the ultimate in power and efficiency. Aquarium maintenance doesn’t have to be an overburdening chore. Let MRC life support equipment do the dirty work while you enjoy the view. 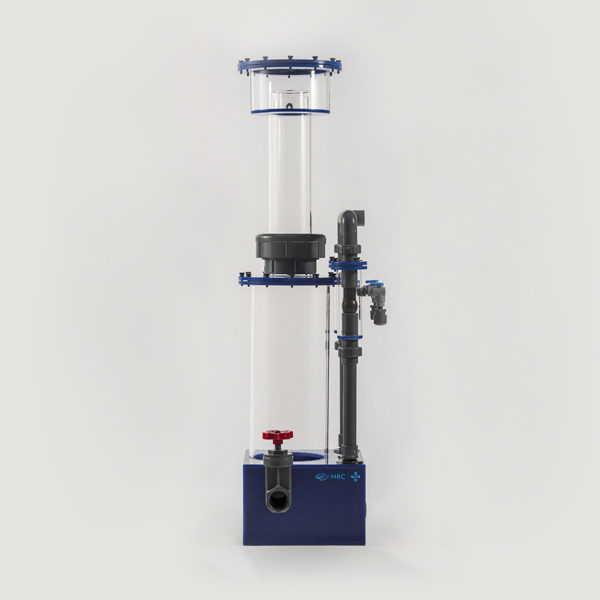 +Series Recirculating Protein Skimmers provide the perfect upgrade for finer control and higher efficiency. Utilizing the two injector assemblies and longer dwell times, high bio-load systems don’t stand a chance. The recirculating design allows for a precise turnover rate, tuned to the demands of your aquarium. Instead of the traditional single pass, a particular body of water is processed multiple times before exiting the skimmer, increasing production and efficiency. 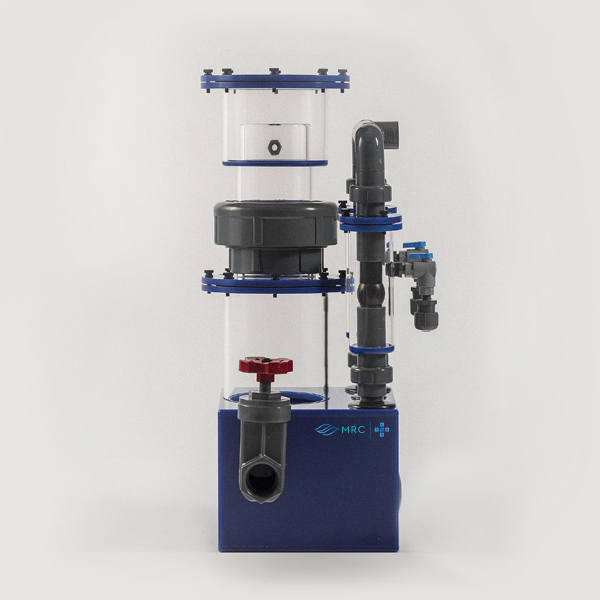 Purchase your +Series Recirculating Protein Skimmer from an authorized MRC® retailer today.